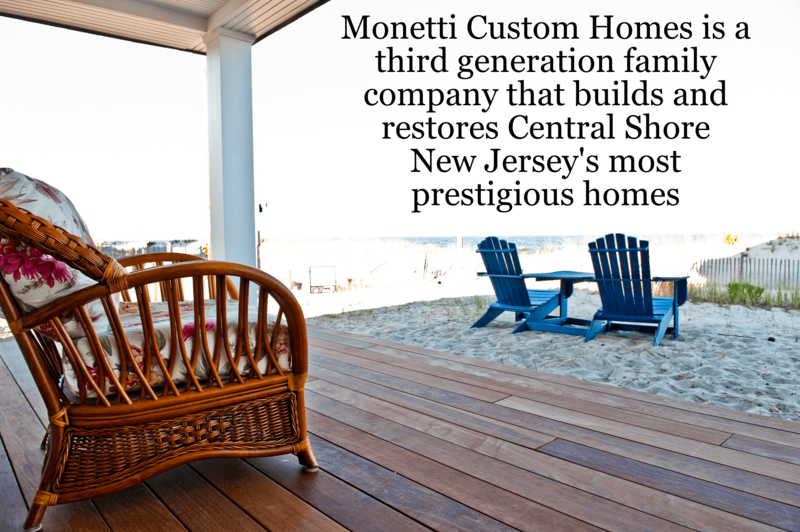 Since 1948 the Monetti family name has been synonymous with quality custom home building and home restoration for discriminating clients throughout Monmouth County and Ocean County, New Jersey. 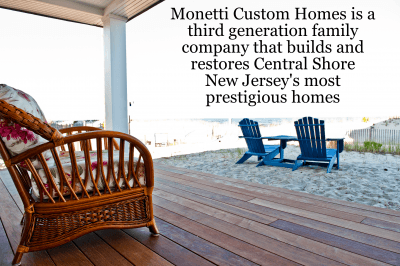 Third-generation Robert L. Monetti of Brielle, building on that solid reputation with many years of hands-on experience, has carved an independent niche as a true "custom builder" and home restoration specialist. His award-winning, competitively-priced, fine quality custom home building is leading his company in a standard setting pace for the future. To assure the finest workmanship, Robert assembles teams of qualified and reputable custom contractors, craftsmen and artisans as required, working closely with them in their areas of expertise. The craftsmen working on our custom homes are seasoned professionals at the top of their fields. 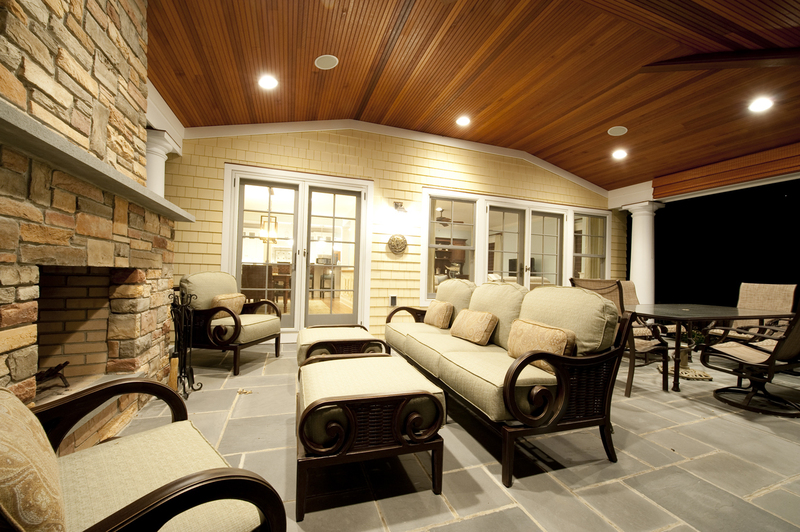 Our lead carpenters are skilled artisans who have been with us as long as 15 years. An experienced draftsman, he also works directly with architects to assure that plans are formatted to meet customer expectations and design criteria. 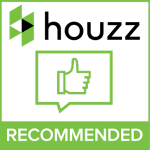 Robert works closely with each client so they understand all facets of the new home construction process. With complete control over every phase of the construction, he carefully supervises each project to ensure that deadlines are met by providing the client with ample lead time for decisions and product selection. Robert always provides options that allow his clients to visualize changes while facilitating decisions and keeping projects on track and within the client's budget. 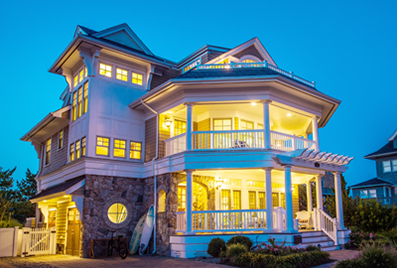 Catch an inside glimpse of Robert Monetti’s process to building his prestigious custom homes along the NJ coast in this exclusive interview with Paul Rugarber of PDR Design. Robert Monetti grew up in the Central New Jersey Shore area where he continues a tradition of custom home building and home restoration throughout Monmouth County and Ocean County begun by his grandfather in 1948; a hands-on tradition that is built on a solid reputation for uncompromised quality, high standards of builder professionalism and enduring value in each Monetti custom home. Although Monetti has been highly praised, written about and honored with awards, the only person who really matters to us is you. We want your experience with us to be rewarding and pleasant and to end with all your expectations realized. Robert Monetti builds architecturally impressive custom homes & extraordinary home renovations where no amenities are spared, where indoor and outdoor spaces meet with quality and where elegance melds with grace into one great orchestral cadence that takes your breath away every time you see them. Volume ceilings, walls of windows, tons of granite, custom stone and millwork, elegant stairs, columned bath suites and outdoor kitchens are all put together by the area's finest craftsmen and supervised by Robert himself to guarantee the uncompromising level of quality and total customer satisfaction for which the Monetti name has become known. 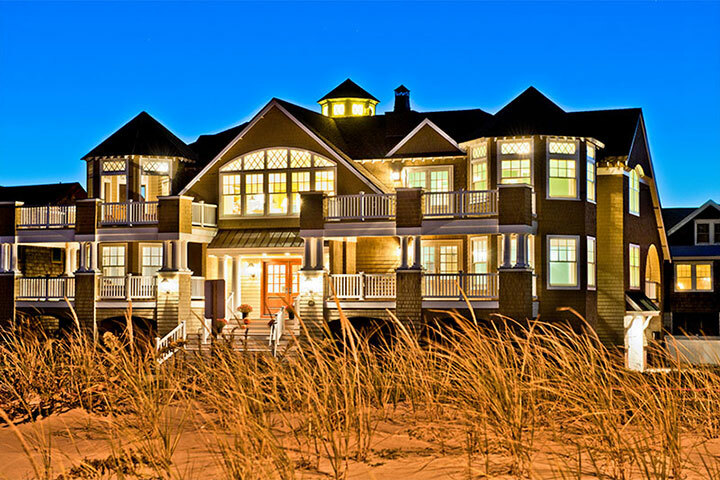 We are a third generation family company that builds and restores some of Central New Jersey Shore's most prestigious homes, generally Jersey shore vacation homes and primary custom homes with a focus on Monmouth County and Ocean County shore life. 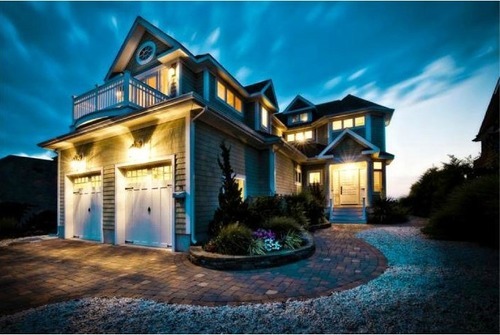 A Monetti built custom home is unique to each owner's lifestyle needs, desires, budget and land requirements, resulting in a new home that fulfills its owner's dreams and is built to stand the test of time. 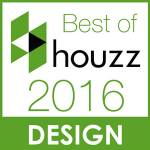 For Monetti, the highest standards of builder professionalism, quality and value are of utmost importance. Robert is also a FortiCel™ Certified Mold Conscious Builder, a certification given in recognition of a commitment to building healthier, safer and more mold conscious homes. 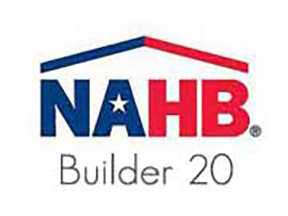 In addition, he has attended annual NAHB Custom Building Symposiums in Phoenix, Orlando and Palm Springs, is a participant of the New Jersey Habitat for Humanity and is also an active supporter of Shriners Hospital for Children, where in 2007 he successfully helped raise over $26,000 for the hospital. At Monetti Custom Homes, we are committed to total customer satisfaction at all times. 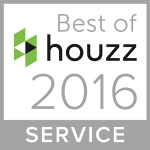 Unlike so many competitors, we recognize how important service becomes not only during the project, but after our "job", becomes your home. Service requests are handled through our office and are scheduled, tracked and updated daily. Although we make every attempt to fit into your hectic schedule, we typically schedule service work for Saturdays as this seems to be a good day for clients to express their problems directly to a mechanic without the normal stress and distraction of their workweek. Each member of the Monetti team is dedicated to providing polite, trustworthy, responsible and professional home builder solutions. Please take a moment to read our references. Our repeat clientele and referrals is testament to our dedication to service. 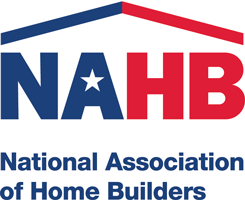 Monetti Custom Homes is a member of the following esteemed organizations. © 2016 Monetti Custom Homes. All rights reserved. Website by Graphene Themes Solutions.